Welcome to the Seattle-area affiliate of the Ināyati Order, which is based in Richmond, Virginia. We offer a contemporary spirituality for the 21st Century, providing tools for spiritual growth and a community of companion seekers. SOI-Seattle provides opportunities for in-depth spiritual training in the form of regular classes, seminars and retreats with local and guest teachers, teachings in spiritual healing, and personal retreats, as well as many other ways to engage in meaningful activities. We also offer regular Universal Worship services that embody the central ideals of all the world’s religions. Our aim is to assist travelers on the path of awakening to fulfill the purpose of their lives. Most classes and activities are open to all, with a few being reserved for those who have made the commitment of taking initiation. Please see our calendar for listings. Our purpose is to support humanity’s spiritual and moral evolution by helping people find within themselves the balance, integrity, authenticity, and happiness that are the birthright of every human being. Our approach is based on ancient Sufi teachings, harmonized to the needs of today. Our experience shows that cultivating a life based on spiritual principles is the most complete and pragmatic approach to unfolding each person’s unique gifts and life purpose. 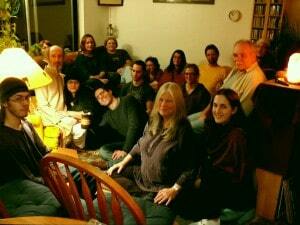 The Ināyati Order in Seattle is an all-volunteer organization, with a collaborative leadership. The Board of Trustees has fiduciary responsibility for the organization, is responsible for overall policy and direction, and elects Board members. The Board has adopted Operating Guidelines and Policies. Board of Trustees responsibilities are described here: Board Member Job Description, President – Secretary Job Descriptions, Treasurer Job Description. Here are our ideal Board Member Characteristics. Inayati Order teachers are signatory to a set of robust ethical guidelines, which can be viewed here. Questions should be directed to Wajid Gallien, the Regional Representative. We welcome volunteers to help with all the usual activities of a nonprofit organization: publicity, mailing lists, website content, housing for out of town guests, etc. email us. We welcome and support the full participation of ALL seekers on the human journey of Awakening, without regard to ancestry, gender, ethnicity, sexual orientation, ability, or neuro-diversity.